As a termite inspector in NJ I look for moisture problems that can set up conditions that might make a termite infestation likely. In Princeton, NJ I found this home that had a serious problem of mold forming. 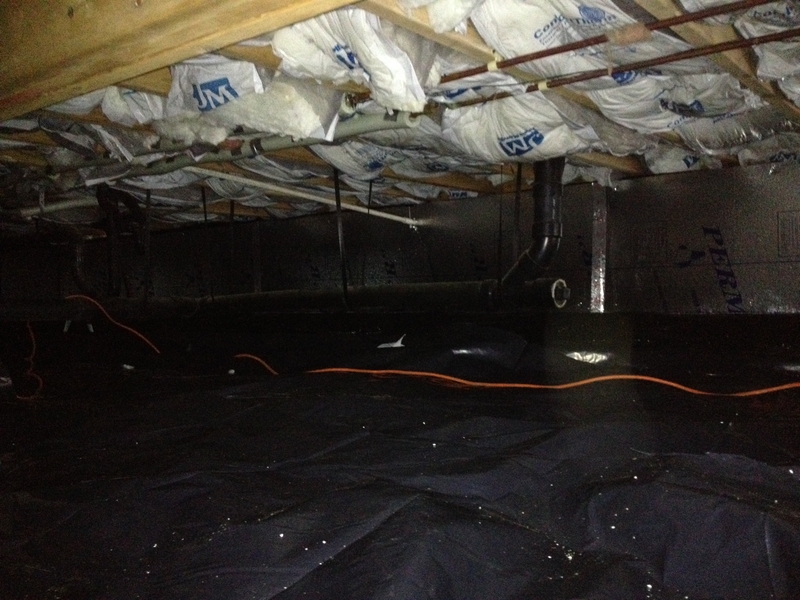 We were hired to come in and seal off the crawl space with a six mil polyethelyne vapor barrier. We sealed it against the foundation wall and installed rigid foam insulation around the perimeter. This provided complete coverage against moisture.